11:30 a.m. to 12 p.m.
Skates and helmets are provided during lesson time. The first 15 guests to arrive at each lesson time will be able to participate. Pre-registration not available. 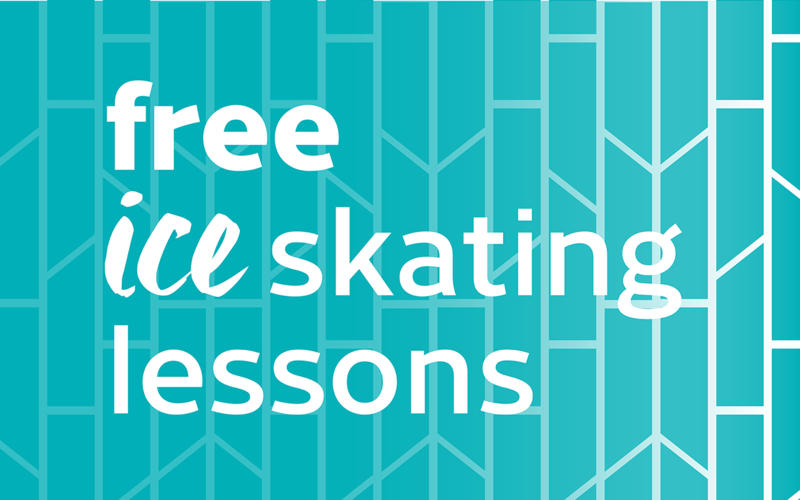 Join experienced instructor, Valerie Anderson, for free beginning ice skating lessons on the ribbon. Developed for guests over five years old, skaters learn basic skating skills and develop the ABC's of movement – agility, balance and coordination (ages 3-5 allowed with parent included in lesson). Class size is limited to 15 guests to ensure quality instruction. Sessions run 30 minutes starting at 6 p.m. and 6:30 p.m. on Thursdays and 11:30 a.m., 12 p.m. and 1 p.m. on Saturdays and Sundays. Come early to the Sky Ribbon Café, next to the Ice Ribbon, to reserve your spot. These fill up fast!